Pyramiding is the most popular training method in history—but are you getting the most out of it? Probably not. Arnold did them. Physique models do them. You’ve done them, too, whether you realized it or not at the time. Yes, if there’s one skill likely to be found in most gymgoers’ repertoires—besides posing their biceps in the mirror afterward—it’s pyramiding. 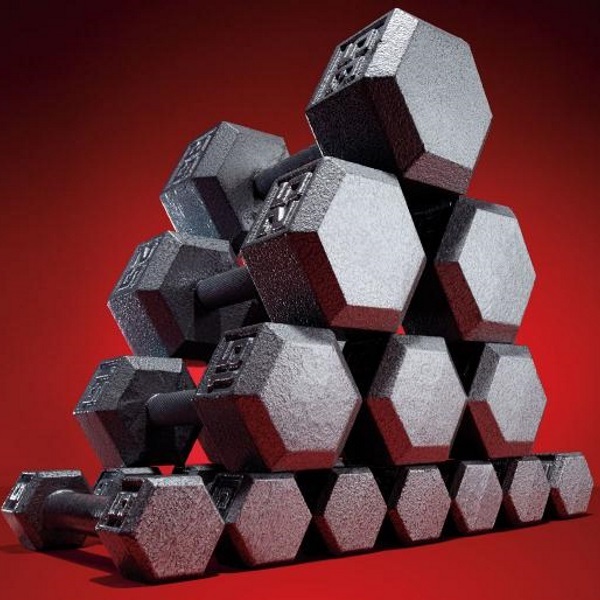 Undoubtedly the most intuitive way to train, pyramiding usually means starting with light weight and doing high reps (usually 12–15), then increasing the load and reducing the reps. Sets usually total four or five, and reps typically descend from 12 to 10, eight, six, then four. As the weight goes up, the reps go down—which, if you visualize it, makes a pyramid shape. The advantage of the classic pyramid is that the warmup is built in. The first, higher-rep sets prepare your body to handle the heavier sets safely. And as you tire, you do fewer reps, so it’s a very natural way to train. Pyramiding also exposes your muscles to a wide range of reps, which trains all types of muscle fibers for optimal growth. But surprisingly, as good as it sounds on paper, pyramiding this way isn’t the best strategy for most people. You’re about to learn how to make this ancient training idea more relevant—and effective—than ever. A very strong, experienced lifter might squat 135 pounds for 12, then jump to 225 for 10, 315 for eight, and 405 for six, getting the full benefit of loads that suit each of those rep numbers. But most of us aren’t strong enough to make such big jumps in weight. For example, your squat day might look more like 135 for 12, 155 for 10, 165 for eight, and 185 for six. In that case, says Saladino, “your loads are so close together, you’re not getting the effect you think you are.” You’re too tired to lift what you could normally do for six reps once you get there, thereby reducing the challenge to your muscles. A better way to pyramid, for regular guys and beginners in particular, is to focus on the weight, not the reps. Saladino likes another classic routine, five sets of five, for these purposes. Do five sets total, gradually increasing the weight you use until you arrive at the heaviest load you can complete five reps with. This approach gives you the volume to make size gains but also practice handling heavier weights so you can build a base of strength. Because all the sets are low rep, you don’t burn out before you reach the most challenging load. Saladino also cautions that going up and down a pyramid is more work than most people need. If you miss your target number of reps on any set, end the exercise.